But despite lower prices at the gas pump — welcome news for the millions of travelers hitting the road during the holiday season — the drop is unlikely to be a net gain for the U.S. economy. 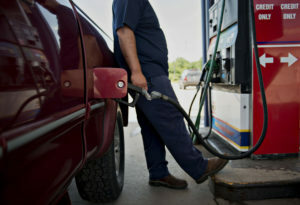 And where some stand to gain from lower prices, others may lose, experts say. “The current drop in oil prices is a net benefit to consumers, but there’s always a possibility they can fall too low for their [own] good,” said Bob McNally, founder and president of the consulting firm Rapidan Energy Group. How much does the U.S. rely on imported oil? The United States is more energy independent today than it has been in over a decade. 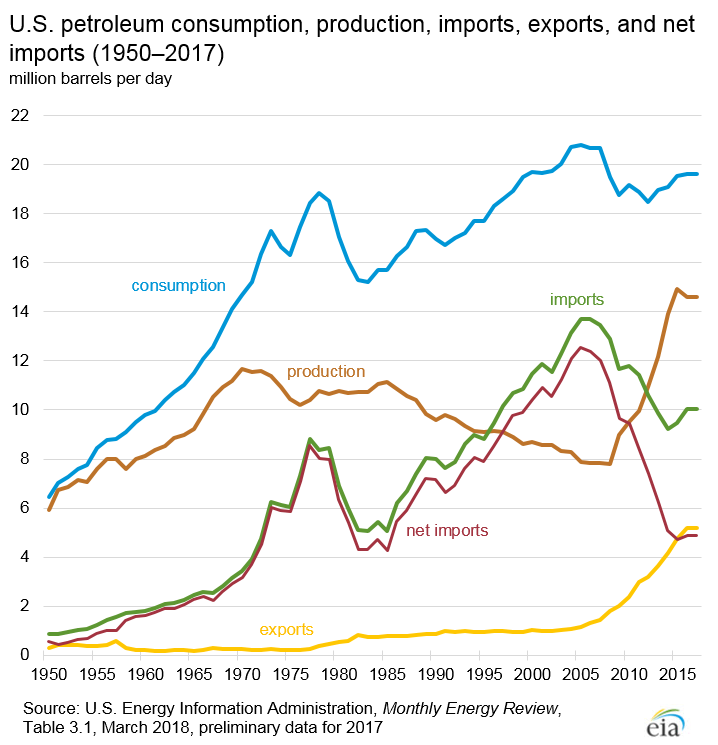 To date this year, net petroleum imports are less than 14 percent of total U.S. petroleum consumption, down from 60 percent in 2005. The International Energy Agency believes the United States could soon export more oil than it imports — for the first time since the 1950s, marking a stark reversal from recent years. “The current drop in oil prices is a net benefit to consumers, but there’s always a possibility they can fall too low for their [own] good. In the mid-2000s the introduction of hydraulic fracturing, a technique that injects liquid at high pressure into the ground to loosen oil reserves, made it easier and more economically viable to pump crude oil from shale deposits. The new technology, along with rising oil prices worldwide, allowed wells in Texas and North Dakota to expand operations, leading to a swell of high-paying jobs for diesel mechanics, truck drivers, and others involved in the production process. The U.S. Chamber of Commerce estimates 1.7 million jobs have been created because of fracking, although studies have also linked the industry’s growth to an increased risk of earthquakes and water contamination. Prior to the boom in domestic oil production, when oil prices went up, the profits usually left the United States for countries such as Saudi Arabia. Today, when oil prices go up, more wealth is generated domestically, a plus for the U.S. economy. “Every dollar that goes to a guy in Texas or Oklahoma is a dollar not going to a Middle East producer,” said Amy Jaffe, a senior fellow at the Council on Foreign Relations. But increased domestic production also means parts of the U.S. economy are more exposed than they used to be when prices do fall. Lower oil prices means less revenue. That can lead to layoffs and reduced capital expenditures. Restaurants, grocery stores and a host of other ancillary businesses that have popped up to support oil industry workers also stand to lose when producers pull back. “As we saw in 2015 and early 2016, imploding crude oil prices to below $30 per barrel can threaten to cause economic busts particularly in regions where we are actively producing shale oil,” McNally said. Experts, including McNally, say current oil prices are still high enough that they should not cause any real economic concern. Frank Gunter, professor of economics at LeHigh University, said current prices hovering around $50 per barrel, according to the West Texas Intermediate Crude Oil index, still allow drillers to turn a profit, thanks to fracking’s “dramatic increase in efficiency.” Today the break-even point, the price at which all costs of production are covered, sits around $30 to $40 per barrel, down from $70 in 2012. And while oil prices threaten particular regions, the U.S. economy as a whole is still somewhat cushioned from the worst scenarios thanks to its vast diversification. Lower prices on a barrel of oil translate into lower costs and improved margins for businesses which use large amounts of it — think shipment and freight companies. For businesses like airlines, which lock in prices for fuel far in advance, short term fluctuations in price will be less noticeable. But don’t lower gas prices save Americans money that they can then spend elsewhere and, in turn, boost U.S. GDP? Lutz Kilian, professor of economics at the University of Michigan, says that’s not always the case, pointing to data from the drop in oil prices several years ago. Jaffe contends the real explanation behind Trump’s comments on getting prices even lower was not necessarily what that would mean for the U.S. economy now, but instead concern over what ripple effects high oil prices could have worldwide. “I think the administration was much more worried that high oil prices were going to cause emerging markets to fall into a recession that would eventually reach the United States,” she said. It unclear how long oil prices will stay low. “We are entering an unprecedented period of uncertainty in oil markets,” for a number of reasons, International Energy Agency executive director Fatih Birol recently told Reuters. U.S. sanctions on Iran were expected to boost the price of oil, but Saudi Arabia’s subsequent decision to increase production has had the opposite effect. OPEC, the organization of 15 oil-exporting nations, is now considering cutting production, which would push oil prices higher. That means consumers should expect oil prices to be volatile in the near future.It also underscores the reliance the U.S. still has on the global markets.